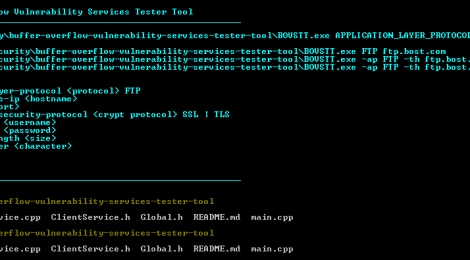 Browse: Home / BOVSTT – Buffer Overflow Vulnerability Services Tester Tool. BOVSTT Program to detect the existence of remote/local stack-based buffer-overflow vulnerabilities using the standard communication protocols for each service. The application classifies the different services using configurable .stf files (Service Tester File) and thus allow to perform the own tests. ← BitCracker is the first open source BitLocker password cracking tool.